Is the Ricoh Ri 100 an Easy-Bake Oven? When I called Ricoh to inquire about their new Ricoh Ri 100, I asked them about how they finish the garment. 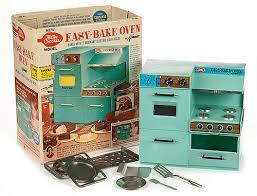 The sales person said, do you remember the Easy-Bake Oven which was popular in the 60s? I said of course I do. The toy had a small oven which supposedly cooked special Betty Crocker cake mixes using a heating lamp system. We are not saying that Ricoh is using a Betty Crocker oven to cure the t-shirts imaged on their new Ri 100 DTG system, but the concept is similar. There is a heating element inside the Ricoh Ri 100 which cures the ink, much like there was a heating element inside of the Easy Bake Oven to bake the cake. Instead of baking a cake, Ricoh is baking the ink. Because the curing unit inside the Ri 100 only cures the ink, the use is limited to either cotton bags or cotton shirts. The unit can image nothing else. The list price for the Ricoh Ri 100 is $4,995 for the CMYK 8.5"x 11" system and can only accept substrates which are 1/8-inch or less in thickness. Think about this, with the 831-TS, you have an 11"x 17" CMYK printer for only $2,095. Further, if you add an Insta 201 heat press to the printer, you have a tabloid printer with a heat press for only $2,899...and both the OKI 831-TS and the Insta 205 do far more than bake shirts...it sure "takes the cake" for value. Watch for more exciting info regarding how you can "have your cake and eat it too" with OKI printers. In fact, here's "frosting on the cake." The OKI 711WT offers 8.5"x 14" images with white toner for imaging black, dark, light and white garments. The list price is only $3,395 and if you add an Insta 205, the price is $4,495. If you decide to go to a larger size, the 11"x 17" 8432WT printer with white lists for $6,895. With the Insta 256 heat press, the full system is $8,899. Both the 711WT and 8432WT far surpass the Ricoh Ri 100 and compete with traditional DTG units costing much more. Need further info about these systems? 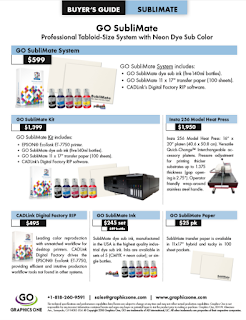 Please contact sales@graphicsone.com or call 1-818-260-9591. P.S. Sorry about using the cake idioms...we know they are "nutty as a fruitcake," but lots of fun!